We all love to read our favorite blogs and informational websites, so why not add a few career-focused blogs to your blog roll? 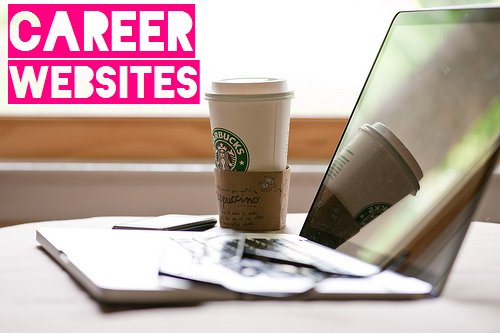 Many career blogs are great resources to help you along your way to finding your dream job. Whether that means providing tips for office fashion, etiquette guidelines, resume and cover letter ideas, or any other idea to stand out, getting advice from the pros in your blog roll every morning is the perfect way to kick start your job search. Next time you're sipping on a Pumpkin Spice Latte at Starbucks or avoiding that research for your senior-year dissertation, procrastinate in a good way by checking out some of these career-focused tips. New Grad Life is the blog for those of us about to graduate and for those students who want to keep an eye out for industry trends and helpful advice. Not only will you feel better prepared for the realities of being a fresh spring chicken in the workforce, but you’ll have some solid advice for your new chapter in life! Career Rocketeer is an interesting informational website. Not only do they cover the obvious topics, but many of their articles are unique and look into topics that you can't find anywhere else on the internet! This blog also has some great tips for after you've landed your dream job, which is great for helping you impress your new boss. Not only did she found Brazen Careerist, but Penelope Trunk also has two start-ups and a few books that will inspire you to get on the ball with your career dreams. Her opinions on current issues are well thought out and her advice is honest and always a good "kick in the pants." She discusses popular topics for today's college girls, including everything from being a woman in the workplace to time management. Jobacle is an interesting and witty twist on career advice! Much of the advice is for practical and realistic career situations, such as having to work full-time while in college and how to ask for a raise. The advice and topics in this blog apply to everyone, and there's no better time than now to start getting some good and sound advice! Careerealism has realistic advice for those of us who need a dose of realism! Not only does Careerealism give you advice from a straight-up point of view, but you'll be glad you read it, even if you leave a bit disgruntled. If you're looking for office-appropriate fashion ideas, networking tips and tricks, advice and career trajectory stories from real-life women with inspiring success stories, or tips on finding that ever-elusive "work-life balance," you need to check out Classy Career Girl. It's perfect for college students and recent grads alike, and no matter what kind of advice you're looking for, you're sure to find it here. Levo League is a fantastic recently-launched resort for young women. While you do need to register before you can access the site, it's free and simple. Their blog has great tips for everything from finding jobs to balancing the "working girl" lifestyle. They also have a great network of job and internship postings and a unique weekly feature called "Office Hours," where you can live stream with inspiring and successful business leaders in a Q&A session. This website is sure to become the hub of your job search. Check out some of these websites to help keep you informed on tips and tricks for breaking into the professional world or if you just need a helping hand to get you out into the real world. Do you have any favorites not mentioned here? Share them in the comments below for others to see! Don't forget to check out College Gloss's past career articles for more advice! May I also mention a great website for all of the job hunters out there? It's called www.jobdreaming.com and what it does is pretty poweful: once you fill your dream job, they'll search for it and let you know once it arises - it's simple and to the point! Finally you'll get to do what you LOVE for living!